An effective 3-step anti-irritation kit to treat sensitive, dry or very dry skin which tingles or itches and is likely to cause eczema or psoriasis. It should be used on a daily basis for at least 56 days and renewed 2 or 3 times a year. Non-contractual photo. Colors and shape of box can change according to available stock. 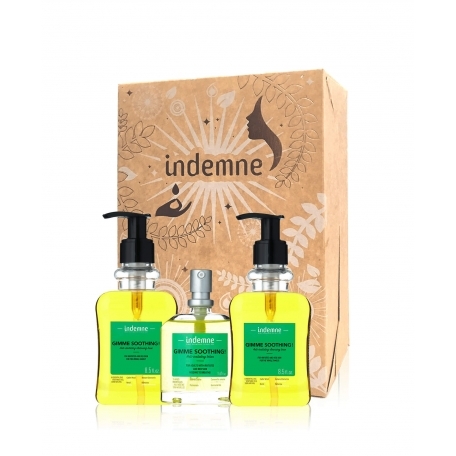 INGRÉDIENTS : GLYCERIN*, COCAMIDOPROPYL BETAINE, DECYL GLUCOSIDE, SWEET ALMOND OIL POLYGLYCERYL-6 ESTERS, JUNIPERUS OXYCEDRUS WOOD OIL, CYMBOPOGON MARTINI OIL, ANTHEMIS NOBILIS FLOWER OIL, PISTACIA LENTISCUS LEAF OIL, XANTHAN GUM, PARFUM, GERANIOL, LIMONENE, LINALOOL, BENZYL ALCOHOL, DEHYDROACETIC ACID. 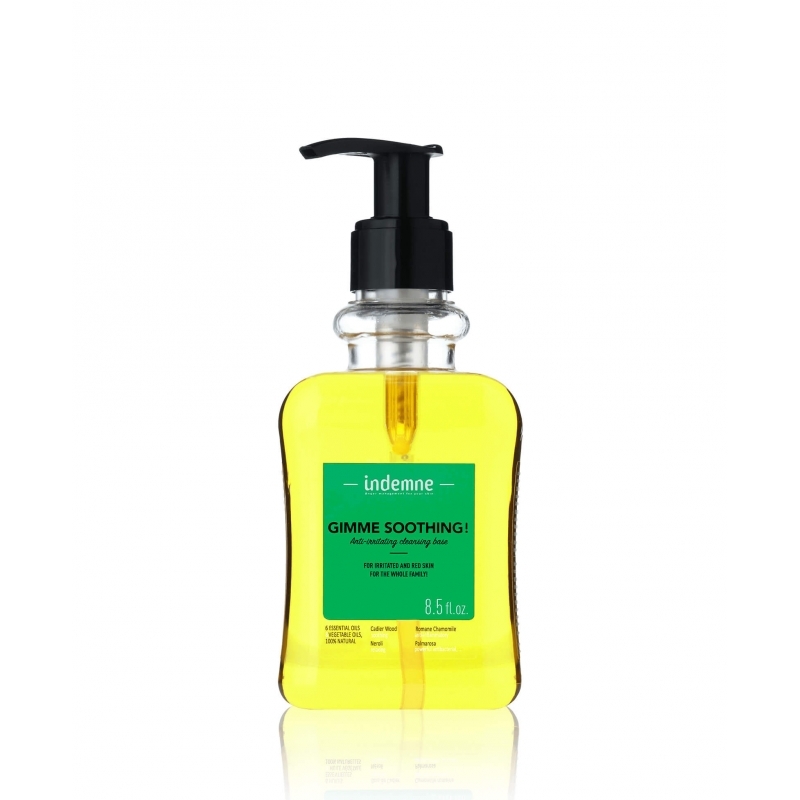 INGREDIENTS : CAPRYLIC/CAPRIC TRIGLYCERIDE, OLIVE OIL DECYL ESTERS, TRITICUM VULGARE (WHEAT) GERM OIL, SQUALENE*, DICAPRYLYL ETHER, LAURYL ALCOHOL, JUNIPERUS OXYCEDRUS WOOD OIL, CYMBOPOGON MARTINI OIL, ANTHEMIS NOBILIS FLOWER OIL, PISTACIA LENTISCUS LEAF OIL, TOCOPHEROL, PARFUM, GERANIOL, LIMONENE, LINALOOL. With all this good ingredients, my lifetime is 12 months after opening. 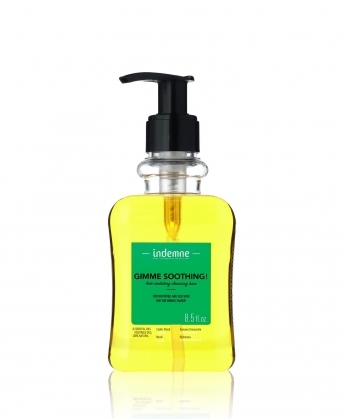 Apply a few drops of GIMME SOOTHING! 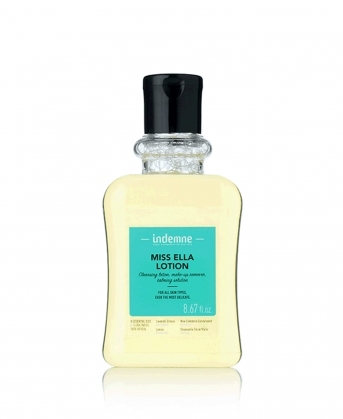 lotion on the dry and damage areas.